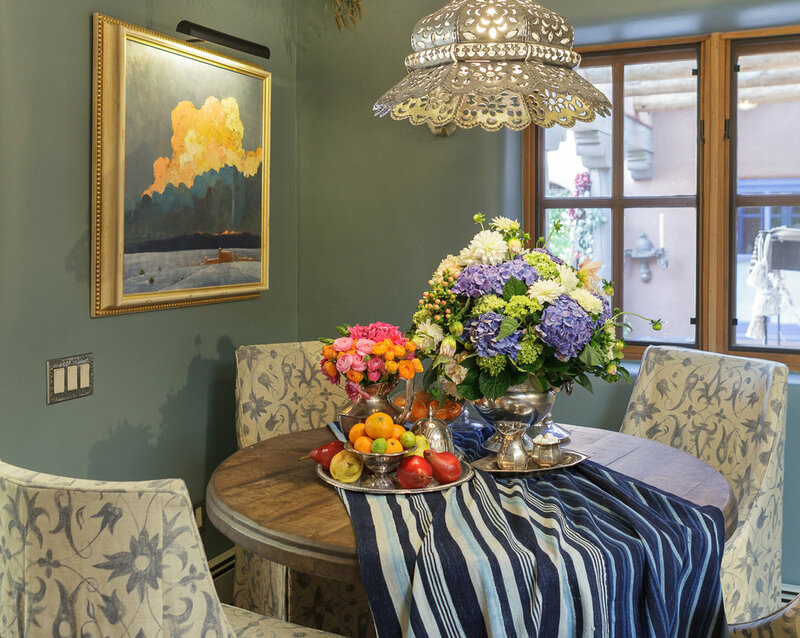 We set out to design a Mediterranean kitchen that celebrates the old world charm of Santa Fe. The kitchen was completely remodeled from the ground up. For inspiration, we turned to the European influences on Mexican arts and crafts. Our inspiration came from traditional Puebla style Talavera pottery, Mexican tin metalwork, and from painters depicting the Native American culture of New Mexico in their artworks. We created a space that is functional and imbued with a sense of timelessness.